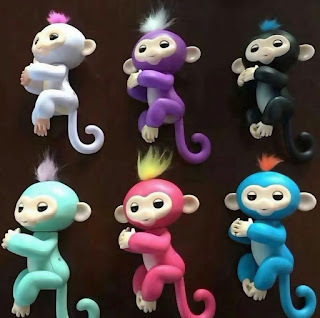 One of the HOTTEST GIFTS this Christmas are these Interactive Finger Monkey $19.99 (Retail $24.99). You don't want to be stuck without an Interactive Finger Monkey under the tree this year! Grab them before they are gone! These cute cuddly monkeys blink, move their heads, blow kisses, talk, toot, snore and much more!